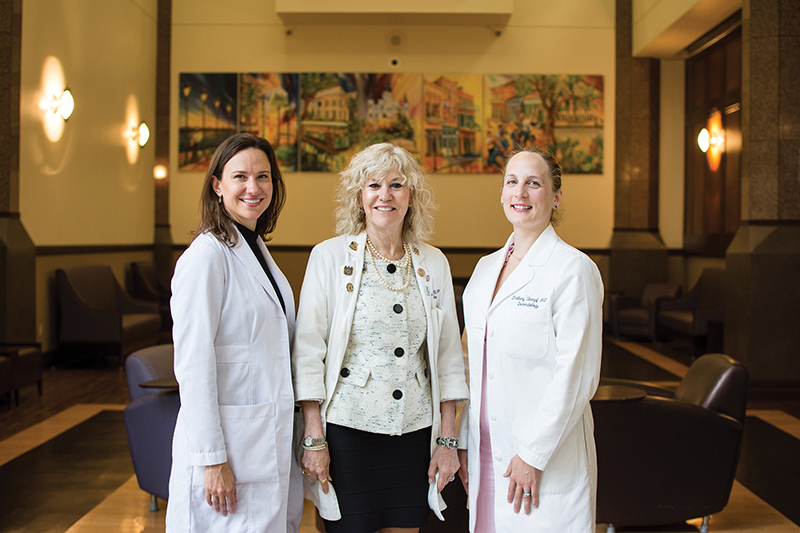 Tulane University Department of Dermatology provides cutting-edge medical care. Innovators in the treatment of skin diseases, faculty physicians provide general dermatology care as well as treatment of complicated dermatological problems. In addition to Erin Boh, MD, PhD, Professor and Chair, the department has experts in comprehensive psoriasis care, skin cancer treatment, and cosmetic dermatology. Tulane Dermatology is known and respected by patients and peers. They work in consultation with many physicians to provide the patient with best possible treatments. Physicians at Tulane offer access to highly specialized care, as well as general dermatology for patients of all ages. Our physicians offer phototherapy, photopheresis, and unique biologic targeted treatments for certain skin diseases. Tulane Dermatology also offers mole mapping, a photographic service for individuals with numerous moles, melanoma, and those possibly at risk for melanoma.